The information-analytical centre, Info-Light, is an organisation of professionals with expertise in the fields of politics, economics, sociology, marketing, information technology, and municipal affairs. The information-analytical centre’s employees are professionally-trained and creative specialists working with modern science and information technology, and with a balanced and reasonable approach to each every step of information-analytical research and software products. Info-Light’s main goal is to provide customers with high-quality software solutions, reliable professional research, and – to the general public – interesting and unbiased information of a socio-political and socio-economic character, presented with the latest infographics. 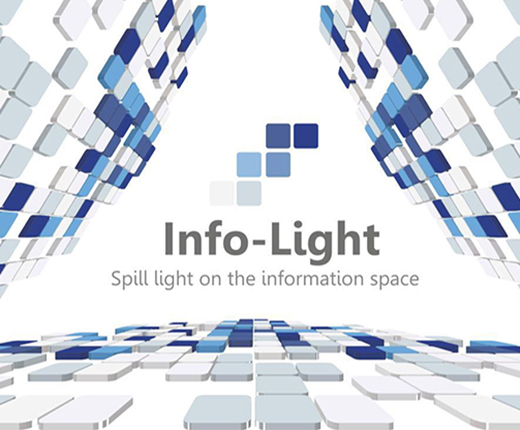 Info-Light aims to fully meet readers’ expectations of the quality of the information on our website. Undertaking targeted research: monitoring the problems underlying our subject areas, providing a systematic analysis of the available results, and formulating concepts of sustainable development research objectives.